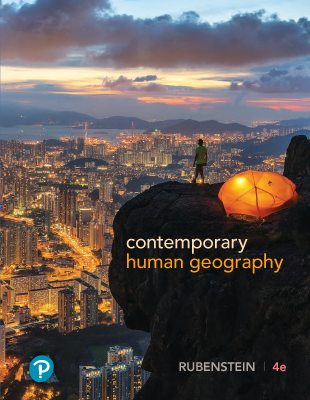 Trusted for its timeliness, readability, and sound pedagogy, The Cultural Landscape: An Introduction to Human Geography emphasizes the relevance of geographic concepts to human challenges. The relationship between globalization and diversity is woven throughout; Rubenstein addresses these themes with a clear organization and presentation that engages students and appeals to instructors. The Twelfth Edition challenges readers to apply geography tools and techniques to their local environments, bridging the global and the local, and getting students to interact with their local geography.New applied activities and debate features as well as integration of BBC videos into eText 2.0, further strengthens readers’ ties to the geography all around them. 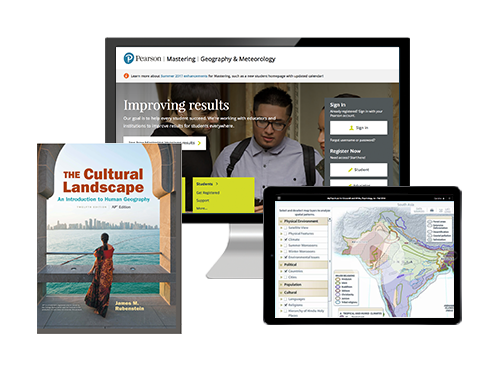 MasteringGeography is an online homework, tutorial, and assessment product proven to improve results by helping students quickly master human geography concepts. Interactive, self-paced coaching activities provide individualized coaching to help students stay on track. With a wide range of activities available, students can actively learn, understand, and retain even the most difficult concepts.